Hyper-converged appliances set for mid-market boom but who are the leading vendors and what are the issues? Analysis: Will the rigidity of appliances stop the market from growing? From 2014 to 2019 the hyper-converged market is expected to grow by 68% CAGR to hold a market value of $5bn. The growing market size suggests significant interest from customers and with that a higher level of attention is expected to be paid to it by vendors. At their most basic hyper-converged systems are appealing to businesses that are looking to refresh storage or server platforms, they essentially take the converged system to the next level. The modular systems are designed to scale out by adding more modules and offer improvements at the storage controller software layer. As more appliances are added, the greater the performance and capacity. What this all means is that instead of scaling up by adding drives, memory or CPU’s, the user scales out. The benefit of this over the traditional IT system or converged system is that it offers simpler administration with users typically capable of managing it through a single pane of glass. Simplification is key to these systems and it is what HPE has placed a big focus on with its recently revealed hyper-converged system for the mid-market. The all-in-one compute, software-defined storage and intelligent virtualisation appliance is designed to help mid-sized and remote office branches to deploy VMs in a short amount of time. The appliance is built on the HPE ProLiant DL380 and will offer intuitive User Experience management software, the company says. This is designed to make it easy to manage the appliance on a desktop or mobile device, it also offers self-install. David Chalmers, Chief Technologist for HPE, told CBR that the industry had gone through an interesting phase to see whether a very flexible system that needs a bit more configuration would be the more pervasive, or whether a very simple to use system that is more restrictive in its configuration would be. HPE has clearly come down on the very simple to use side for this product at least. He said: "It’s focused on three key technologies, one to make it very simple so the whole thing can go from plugging into the power and deploying VMs into the enterprise in a 15 minute span. Being able to make it very simple to use – it doesn’t come with any manuals." Chalmers said that there had been a tendency to be hyper-flexible but that this doesn’t work so well in this space, so it focused on using the best technology across HPE but also made it possible to add in private cloud or hybrid cloud when the user sees fit. Although HPE is making a big play with this hyper-converged appliance it is far from the only company in the market. EMC with its subsidiaries VCE and VMware recently brought out a hyper-converged appliance that is also aimed at remote branch offices. The VCE VxRail Appliance family is the first venture into the market for VCE which has typically focused on block systems. Remote offices have been highlighted as a typical use case for the appliance that comes in six different models. The top of the range is the VxRail 280, offering an 112-core, 2TB RAM and 76.8TB SSD storage that is composed of four nodes. Entry systems for SME’s and remote office start at a list price of $60,000. 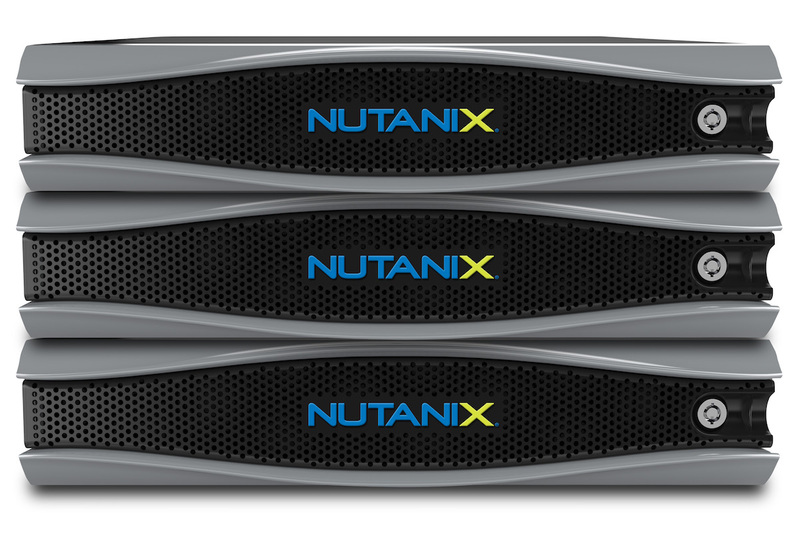 Nutanix is another of the big players in the space and it recently revealed version 4.6 of its own hyper-converged stack. This is another vendor that is going for simplicity, offering invisible operations and the option to pick the best cloud or virtualisation platform for the business needs, with the user not having to worry about the underlying hypervisor. Considered one of the pioneers of the space, the company has helped to bring the hyper-converged market to life. Other vendors in the space include SimpliVity, another pioneer in the space that came out of stealth mode in 2012. It offers an OmniCube platform that combines compute, hypervisor, storage services and network switching on x86 server hardware with centralised management. VMware is another that has been steaming into the hyper-converged market with its EVO:RAIL appliance. The company entered the market with OEM partners such as Dell, EMC, SuperMicro and Fujitsu in addition to HPE. The company has made a play of the consistency of its interfaces across appliances; again the idea is to go for simplicity and ease of use. While all of the vendors are aiming for simplicity there are some drawbacks to the systems. One of the big issues is the inability to make granular upgrades or tweaks to the system. For example, if a cluster is running low on storage but not compute then there is still a requirement to upgrade overall compute capacity by adding another appliance, the same goes for tuning storage disk configuration for a particular application. On the whole the benefits of the hyper-converged system is that for mid-sized environments it helps to eliminate a large amount of complexity , it also remedies the problem of customers in the mid-sized market buying shrunk down versions of a large appliance that doesn’t fit their needs. Typical workloads that are seen on these systems are Virtual Desktop Infrastructure projects (VDI); this is largely due to the ability to eliminate complexity, expense and latency that it typically associated with SAN-based storage. However, according to IDC the workloads are changing. While VDI are the most common there has been a growth in running general business applications running on the systems. Given the growth of the hyper-converged market and the amount of attention it is getting from some major vendors, it looks as though this could be the next big trend for medium-sized businesses. Although there are problems to overcome, the rate of development suggests that some of these issues will be fixed while others are inherent to the system.